This post contains affiliate links. For more info, click here. Thank you for supporting Whistle and Ivy! 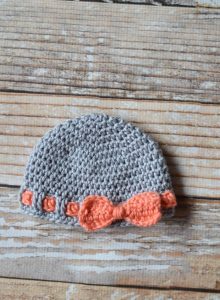 You guys know that I love making baby stuff right? 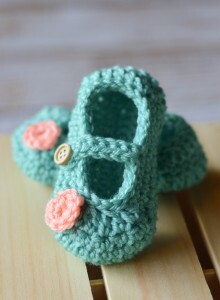 I love baby shoes, but anything baby is fun to make, especially when you have a specific bundle of joy in mind. 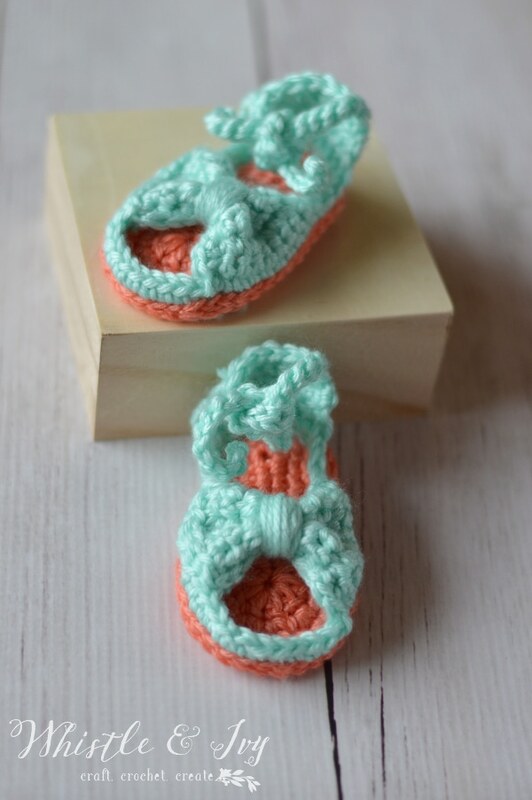 When my crocheter friend Lauren for Crochet Ole’ posted her adorable, easy (and FREE) pattern for crochet baby teethers I knew I had to try this pattern! 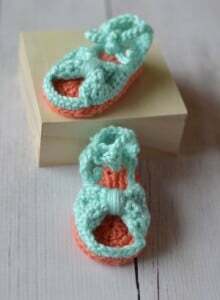 They turned out so cute, and it’s a lovely way to easy baby’s teething pain. 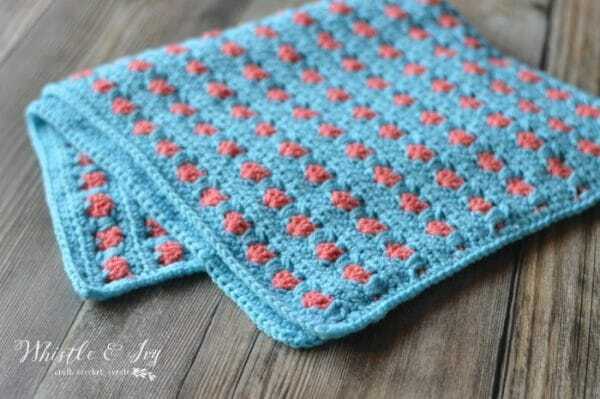 This pattern is super easy and quick to work, and I love that you can wet them down and freeze them for extra relief for Baby. 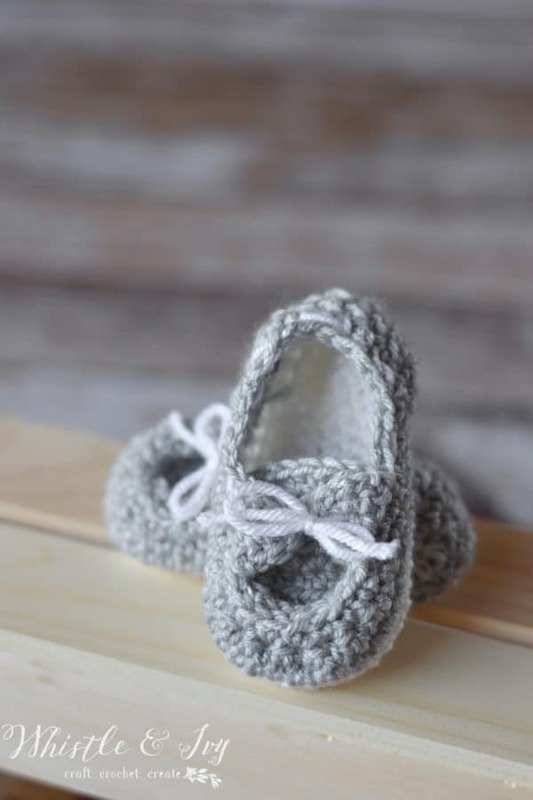 When we have our next baby, he/she is going to have a collection of these! 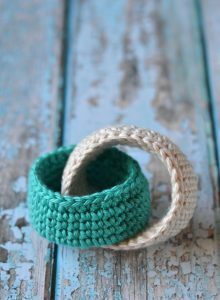 For my teether rings I used Knit Picks Shine, which is a cotton/beechwood blend. It’s SO soft, and because it’s cotton, it won’t fuzzy or pill like other fibers. 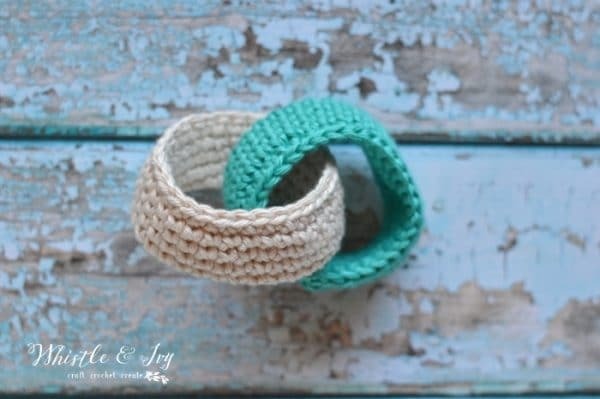 I have already made these rings for beautiful little niece, as well as for my second niece, who is coming this November (squeal!). 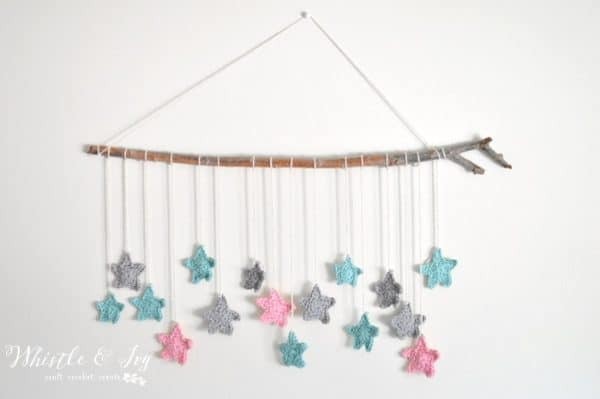 Join the Facebook Group! We need YOU! 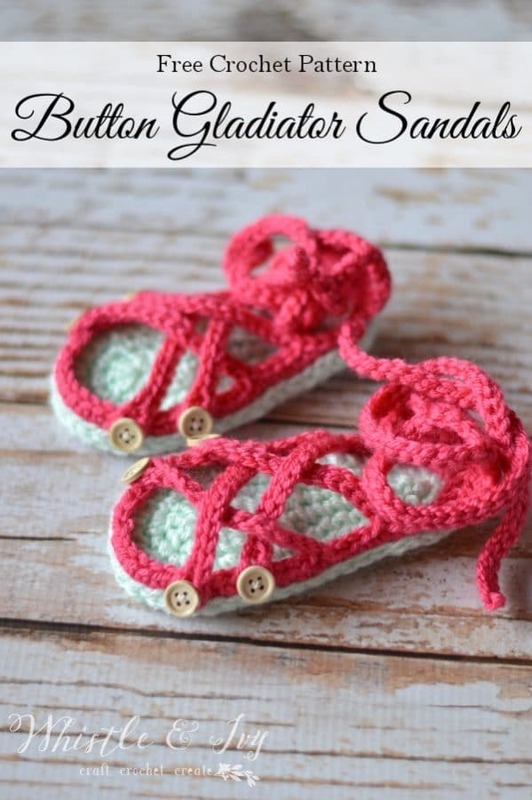 These darling crochet baby gladiator sandals are perfect for summer for your little non-walker! 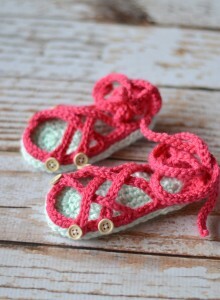 They go perfectly with darling shorts or a sweet summer dress. 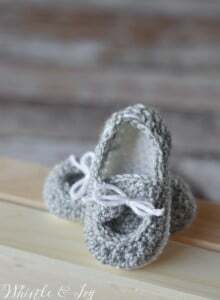 Make them for a thoughtful baby shower gift or for your own bundle of joy. This post uses affiliate links. For more information, click HERE. The Boy, in general, doesn’t care too much for TV. However, the one show he actually watches and pays attention to is Yo Gabba Gabba. If you haven’t heard of it, it’s a kids show that airs on Nickelodeon, but also streams on Amazon Instant Video ( It used to be on Netflix, but we noticed a few days ago that it no longer is). It’s a fun show, featuring rock and indie bands that sing cute kid’s songs, and gives little lessons about being healthy and kind. There is a lot of singing, I think that is why he loves it. 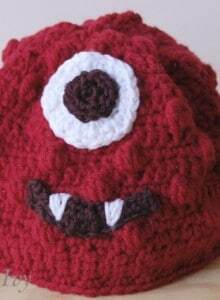 Anyway, I decided to make him a hat that looks like one of the characters, Muno. This post uses affiliate links, which means I earn a small commission from your purchase (click here for more info). Thanks for supporting Whistle and Ivy! I am so glad to be able to share this free baby boat booties crochet pattern with you today! I have actually been sitting on this pattern half written, for a while. I started it before our Mac charging port went nuts, and only recently had access to my half-written pattern so that I could finish it. But it’s done! 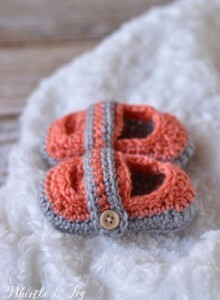 And I love how these baby boat booties turned out. 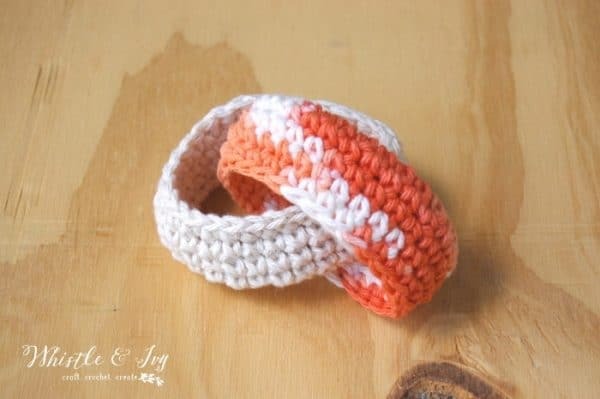 You can also make a pair for yourself! 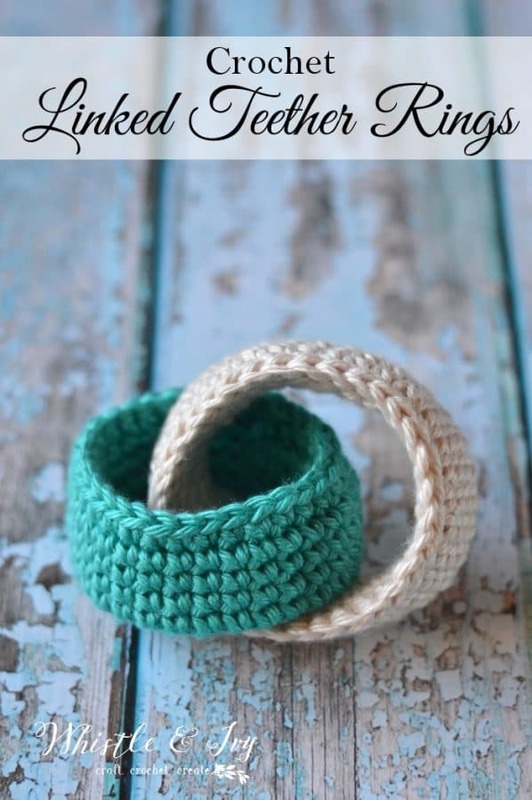 I have a worsted version and a chunky version. This post uses affiliate links. For more info, click here. Hello everyone! 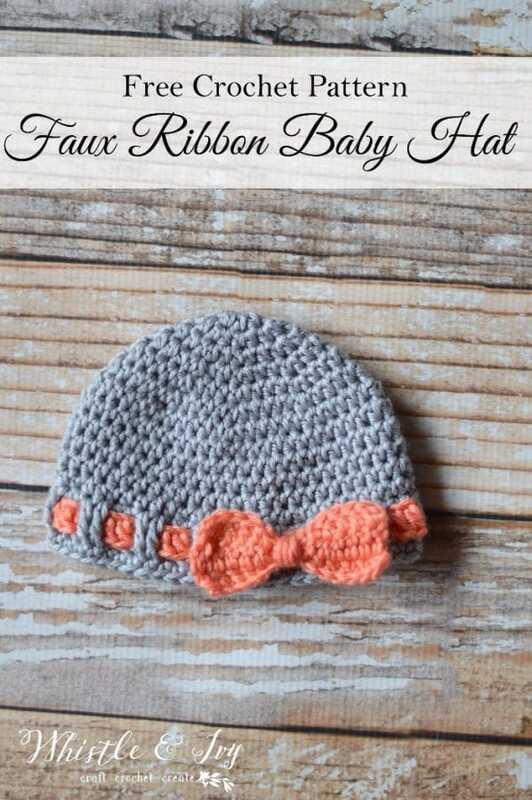 Today I am sharing another crochet pattern, this Faux Ribbon Baby Hat. 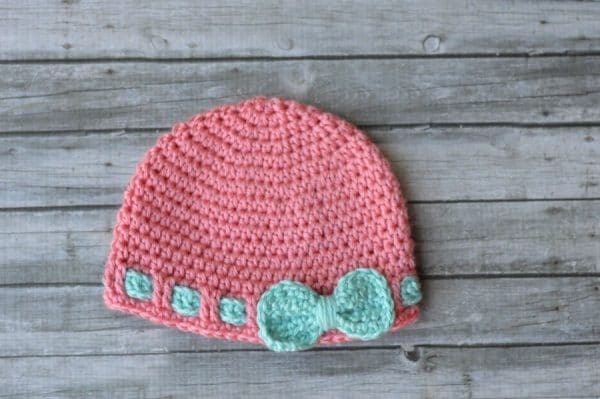 It’s so easy, definitely a beginner project (my very first crochet project was a hat!). 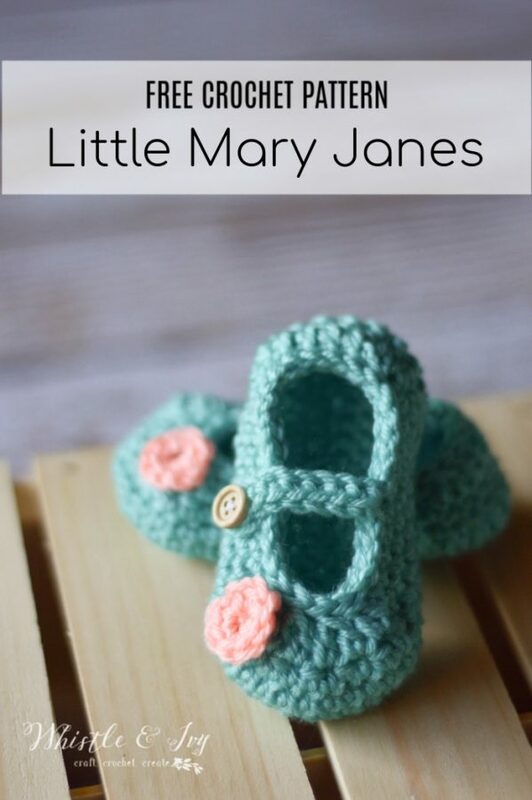 I love making this little crochet hat for baby showers and other baby gifts, because it works up quick, it’s so cute, and it complete a set if you decide to make these mary jane booties as well.